Pink Seven Designs is an online Etsy shop with cute handmade decorations and accessories like hair bows, personalized boutique birthday hats, personalized bow holders, and more! Not only did I receive a monogrammed pumpkin from Pink Seven Designs just in time for Halloween, but I also got to choose between 1 or 3 letters for the monogram, an orange and white pumpkin and polka dot bow accent or spider accents! I was so excited to get my "E" (for Emma) pumpkin and even more excited to open the package and see how cute it is! The letter is painted right on the pumpkin (which by the way is not a real pumpkin so I'll be able to use this decoration ever year!) and the spider web is delicately painted on as well. 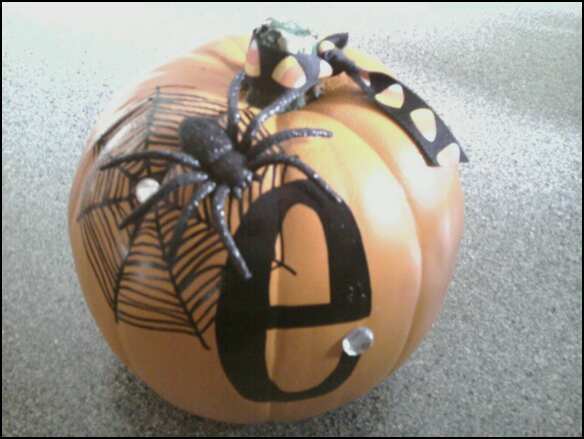 The glittery spider is so cute and the diamond accents make this pumpkin fancy. I am very impressed and excited to show off my personalized pumpkin to all the guests at my Halloween Haunt costume party. I am sure people will be asking where I got it, and I can tell them "Pink Seven Designs"! I love that each of the items at Pink Seven Designs is customizable and personalized for the customer. This really makes for a unique and fun Halloween decoration that I can use for years to come! Something like this would make a great gift for a friend or family member too! You could get one for each of your children and it would be there own decoration to set out every year - kind of like having a personalized Christmas stocking or Easter basket. This would be their special Halloween item to put wherever they please! I am more than happy with my cute lil pumpkin and thank Pink Seven Designs for providing me with one! Buy It: You can purchase handmade items from Pink Seven Designs on Etsy. tell me another item you like from the shop! Tell me what color/letter(s)/design you'd choose for your pumpkin! Contest Details: Giveaway will end on Monday, October 18 at 11:59 pm (CT). Winner will be drawn via number generator Random.org. 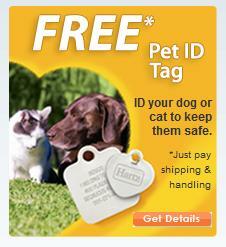 Winner will be contacted by email and will have 48 hours to reply. the personalized hats are so cute. I love the pumpkins. I would choose the letter A and I like the black. I like the personalized birthday hats! I like the white pumpkin i would pick the letter W.
I like the Personalized Boutique Birthday hat in pink cupcakes. 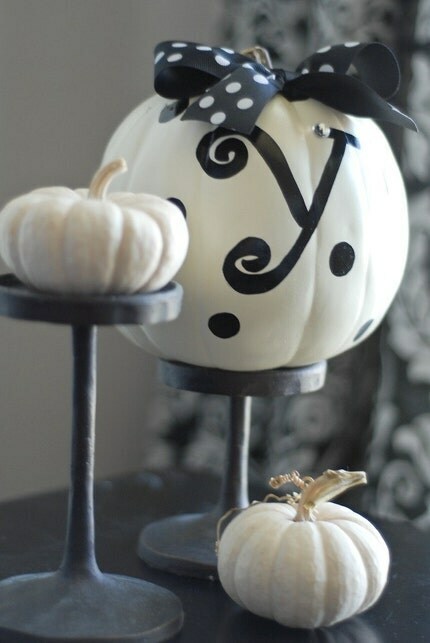 I would get a white pumpkin with a bow and the letter A.
I went to their shop and love this white pumpkin! It's a favorite! I would choose a "B" with my soon to be married last name initial in black paint, white pumpkin! 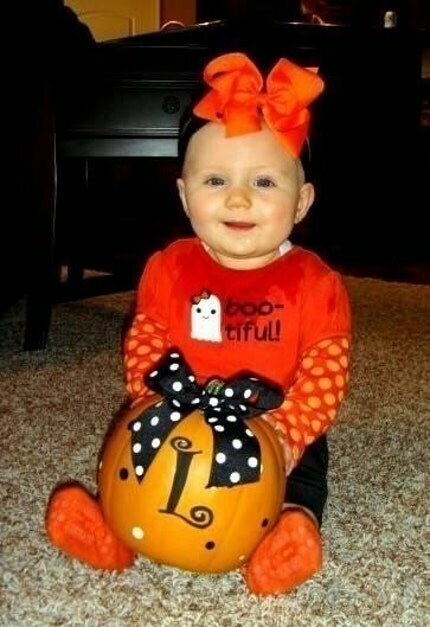 I love the personalized pumpkins. I would love the letter O on a orange pumpkin with the spider. My daughter would love the small korker bow set. Although I think she would love anything from there. I would choose the color black and the letter "J" so all my kids would be represented. I have subscribed and verified via email.